The next big wave to impact humanity is artificial intelligence. It will be powered by the new oil: data. AI is poised to fundamentally change every industry, every business, and possibly every person on earth. AI is an exponential step forward for businesses, promising new, ground-breaking customer solutions once considered impossible. At IBM, we have made it our mission to make AI more comprehensive, more responsible, and in partnership with our customers and partners, to do amazing things with AI. IBM anticipated these barriers to scaling enterprise AI. 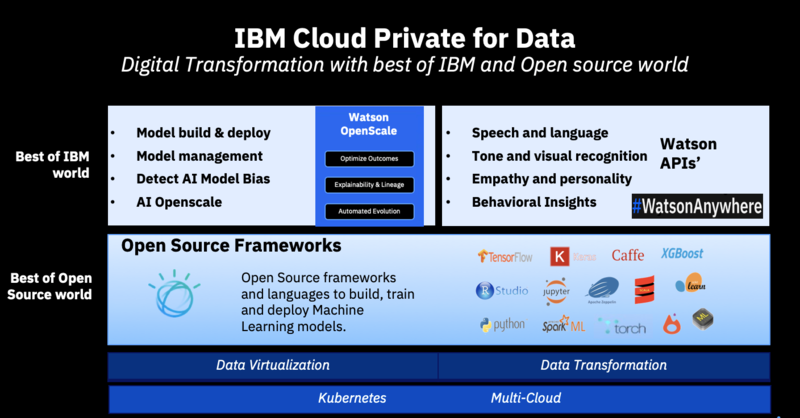 We developed a platform to help clients operationalize AI faster while infusing trust and transparency with IBM Cloud Private for Data and the add-on Watson OpenScale. At IBM, we’ve been hard at work to establish our clients as leaders in digital transformation through IBM Cloud Private for Data. We’ve developed IBM Cloud Private for Data to deliver breakthrough Data solutions and AI services, while giving the industry the mechanism to infuse trust and detect bias in data which is the foundation of AI. We will continue to innovate and apply our AI research and development organization to deliver new capabilities to our partners and customers. You can be part of this transformation journey by joining the Asia Pacific Data and AI innovation exchange, a community of leaders from across industries and academia to engage with ideas surrounding data and AI. Read more and join today. And check out our trial journey at IBM Cloud Private Experiences.